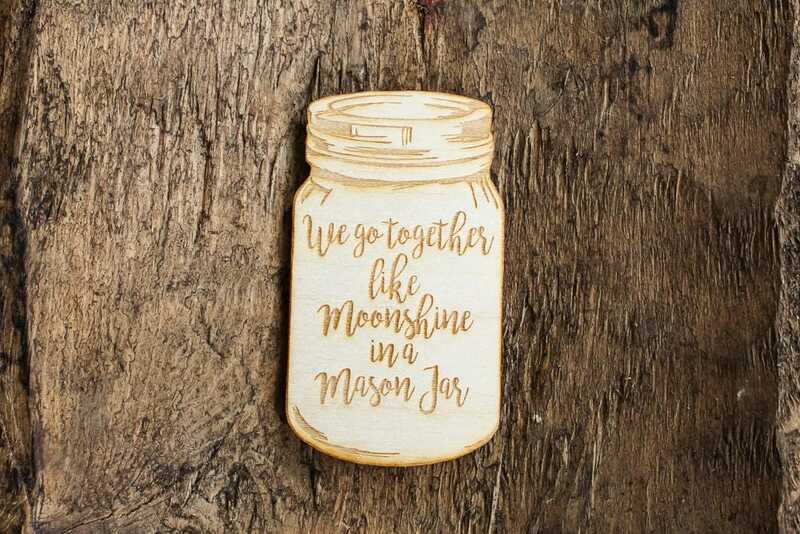 "We Go Together Like Moonshine In A Mason Jar" laser engraved and cut wood mason jar magnet.! 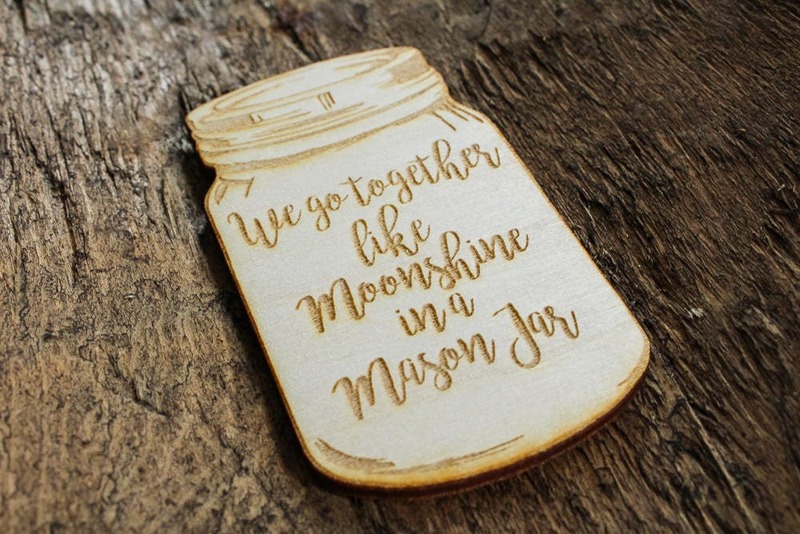 We can customize the size of the jar and the wording on the jar, convo us with details. (1) Heavy Duty magnet attached to the back.